MoWhile critical communications deployments in the public safety sector are often driven by a combination of technology change and existing infrastructure reaching obsolescence or end of life, in many other sectors the main driver is growth in the form of new projects, be they airports, metro lines or offshore wind farms. 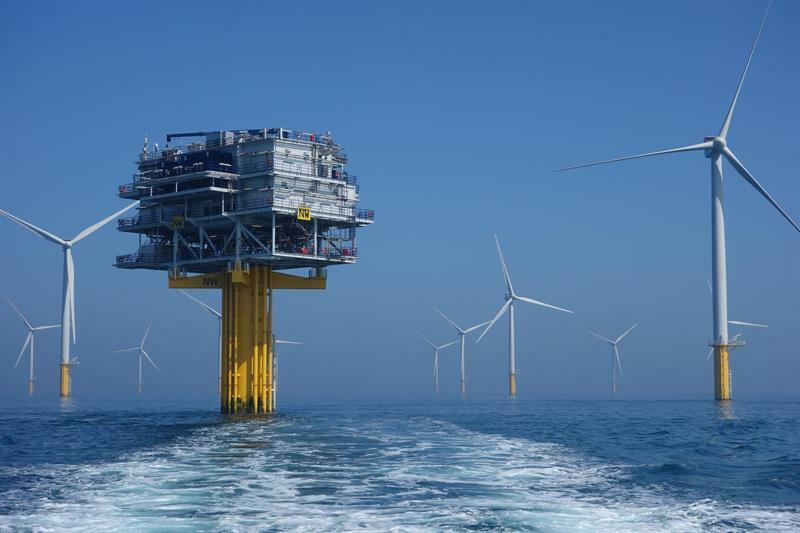 The global offshore wind industry had nearly 4GW of grid-connected capacity added in 2017, driven by record investment of more than $15bn, according to the International Energy Agency (IEA). It notes that in the EU, auction results have indicated that 30-50 per cent cost reductions are thought to be possible over the medium term, as larger turbines cut construction costs and larger products boost economies of scale (turbines at sea can dwarf those on land – the Vestas V164 has a rated capacity of 8MW, upgraded to 9.5MW, with an overall height of 220 metres). However, the personnel involved in the construction, running and maintenance of offshore wind farms have to cope with a variety of hazards – simply moving from a boat onto a turbine in rough conditions can be daunting, and while there are means of making this easier, it presents more of a risk than just landing in a helicopter on a purpose-built platform (far more commonplace in the oil and gas industry). Martin Søndergaard, product specialist, radiocom at Semco Maritime, a company that among its other activities provides integrated turnkey communication systems for the onshore and offshore energy industry, adds that as personnel on offshore wind farms are effectively lone workers, good communications together with fallback procedures are vital. In addition to the need to ensure workers’ safety, reliable communications are required due to the way in which operations are highly weather dependent – according to Søndergaard’s colleague, Russell Gallant, sales manager (telecom), this means they have to maximise their uptime. 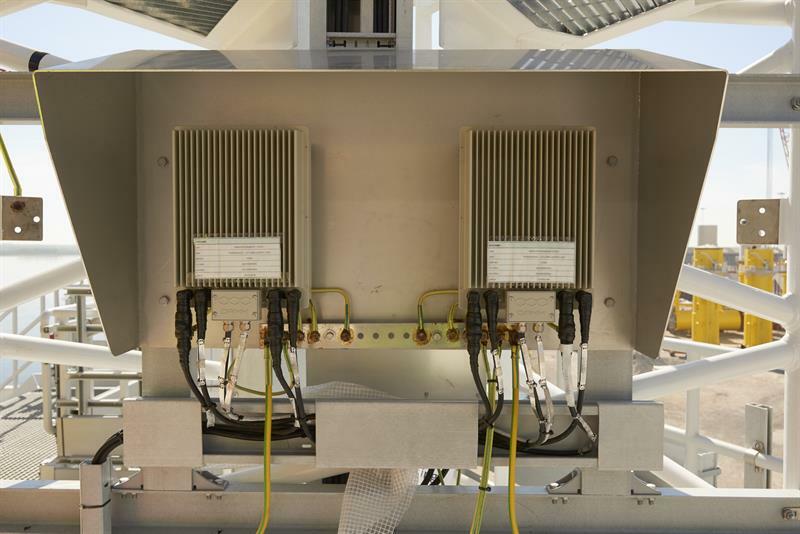 Søndergaard says for a typical wind farm, Semco Maritime deploys a redundant TETRA base station, on a substation that consists of two transceivers from DAMM and two controllers. It decides, depending on the capacity required, whether to have two carriers or one with a hot standby, though it is typically the former. This TETRA system is integrated with “a lot of additional equipment [such as] VHF (AM and FM) implemented via a gateway”, with a PABX system (if required). The use of VHF (AM and FM) gateways, according to Gallant, means “they don’t have to have lots of different terminal types in the field and can just use a TETRA terminal for all voice communication applications”. While VHF FM (SOLAS) and AM (Helicopter) are mandatory, the use of gateways is not; however, he adds that the TETRA system offers a great deal of redundancy because if the backhaul to the land cuts out then “we can still work in trunked mode in the field, and if one transceiver goes down, we can still use the other, [while] if the whole base station goes down, we [can] still work in DMO mode”. To add extra value, Semco uses TETRA’s data capabilities to allow operators to track the movements of their workers, using its marine co-ordination system SemPAM. One added complication stems from the way wind farms have been developed and then sold on. “A lot of the bigger clients who have lots of fields have traditionally implemented a wind farm as a single entity, so everything is geared up to that one wind farm,” says Gallant. “[There’s a trend], certainly in some of the bigger players, to take all of that co-ordination between the different wind parks and try and make a hub for communications onshore from a marine co-ordination perspective, which gives them challenges – basically trying to bring all the different TETRA and VHF systems together.” He adds that they also want flexibility so that “if they [were to] sell the park off to somebody in the future, they still have the ability to cut that field out of a multisite solution”. Søndergaard says one of the most important things to consider when deploying TETRA in this sector is “proper training of the users on the radio equipment, so they know how to operate the equipment when they are in the field [and] know the difference between trunked operation and direct mode operation”. In some cases, clients have reported that their systems aren’t working, only for the issue to be due to “the users not being fully educated on the system”. In addition, the risk of lightning strikes is a concern, so Søndergaard says it is important to spend more attention on ensuring adequate grounding compared with what would be needed “if it was just a non-critical onshore installation”. Gallant adds that quite often “if there’s a problem, it’s actually down to a bad installation on the antenna side of things, which can be avoided”. Returning to the point about backhaul, Gallant says at the start of the construction phase “you might have nothing out there, it’s just blue water”, so a temporary TETRA base station with VHF with a satellite back to shore might be used. However: “If possible, we would try and see if there’s some sort of local infrastructure available. Typically, before a wind farm’s construction phase begins, there might be a metrology mast that would have been deployed beforehand to ensure that [the project placement will be economically viable]; so sometimes we can hook on the back of a metrology mast and set a temporary base. If it’s got fibre back to shore [then we use that], and if there’s a nearby platform we can [use its] fibre back to shore.” He adds that during the operation phase, the cables that conduct the electricity generated by the turbines back to shore include fibre, and it is this which is used for backhaul in normal operations. Gallant says the approach to maintenance and ongoing support varies from customer to customer, with some allowing Semco to access their network, so it can remotely log onto the base stations, monitor for them and examine their log files to see if there are any problems brewing. Those clients that do not allow this require their own personnel to be more technically informed so they can do the work themselves. Clearly, while ensuring reliable communications in tough maritime conditions is not without its challenges, these can be overcome with the right combination of expertise and planning.